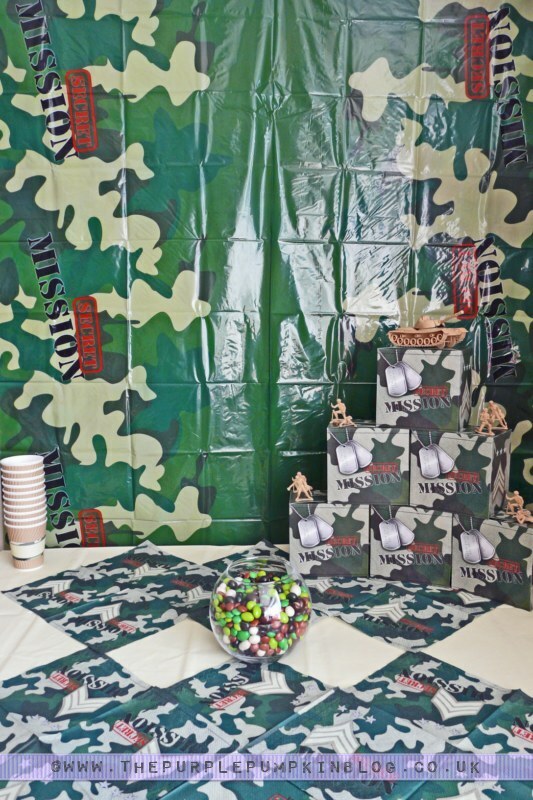 So today I’ve been blogging about the Army Themed Party I threw for my son last week and in this post I’m going to show you how I decorated for it. 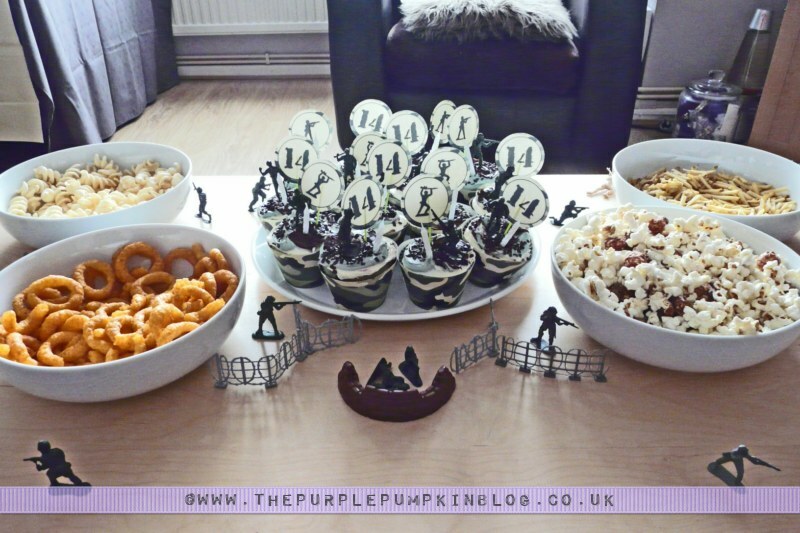 Even though I knew I was going to have an army themed party for his birthday, I actually left everything to the last minute as I have been so busy with work. 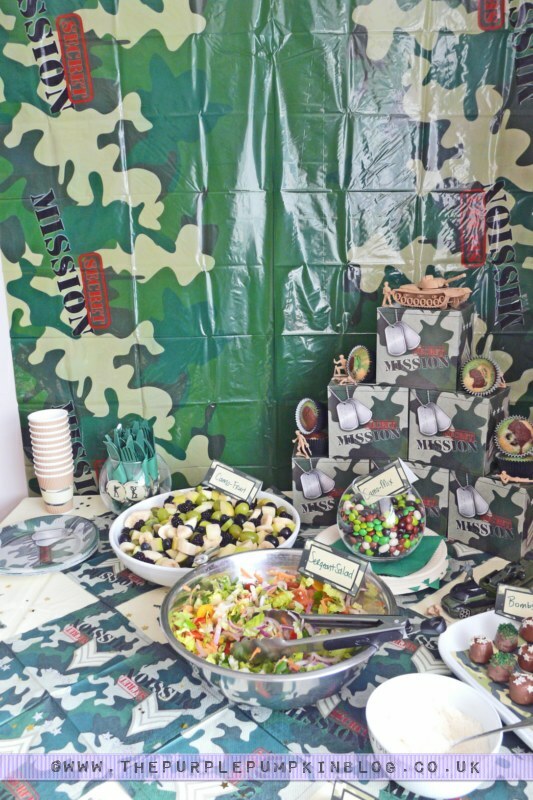 Luckily, I was able to find some camo/army themed party ware in Tesco which helped a lot! Anything green, cream and brown is going to work! I bought a plastic tablecloth which I hung on the wall as a backdrop. I covered the table with a brown tablecoth I already have at home (it’s always good to shop at home to save a few pennies!) and then laid another cream coloured plastic tablecloth on top of that (to hide the table legs). 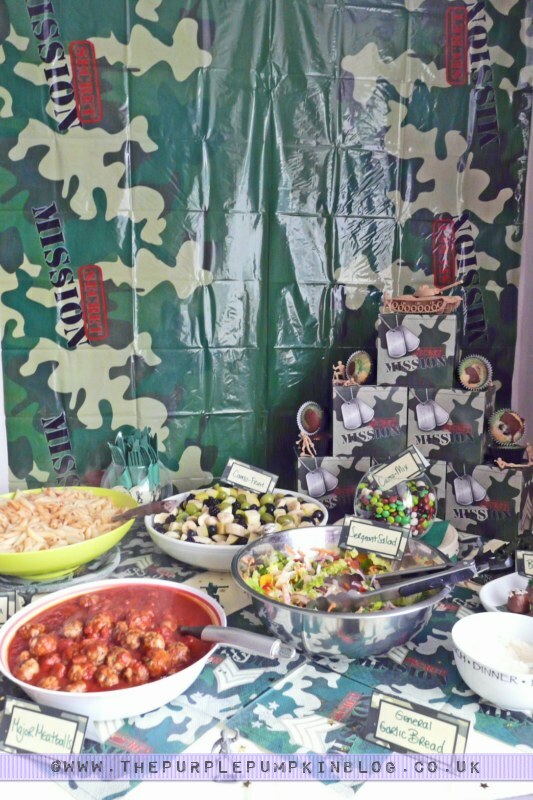 To finish off the table I placed out some unfolded camo napkins that I bought. 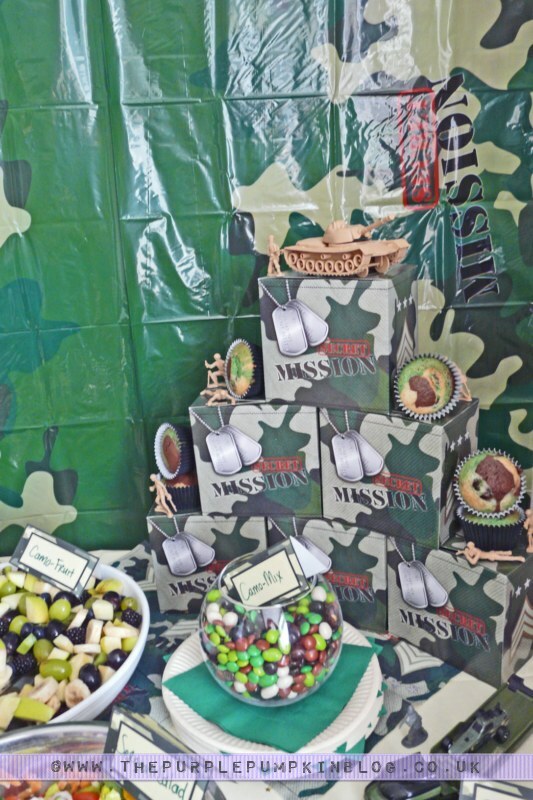 Also bought from the supermarket were some party boxes – I folded the handles down so that I could stack them up in the corner of the table and put some of Liam’s old plastic army toys on them. 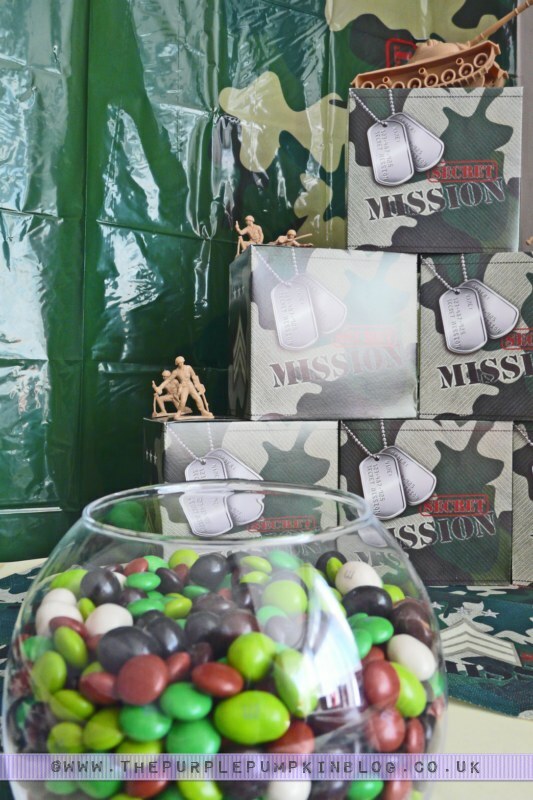 I also had a big bowl of Camo Candy Mix (green, brown and cream M&Ms that we bought in the M&Ms Store in London) that sat on the table and helped to decorate. 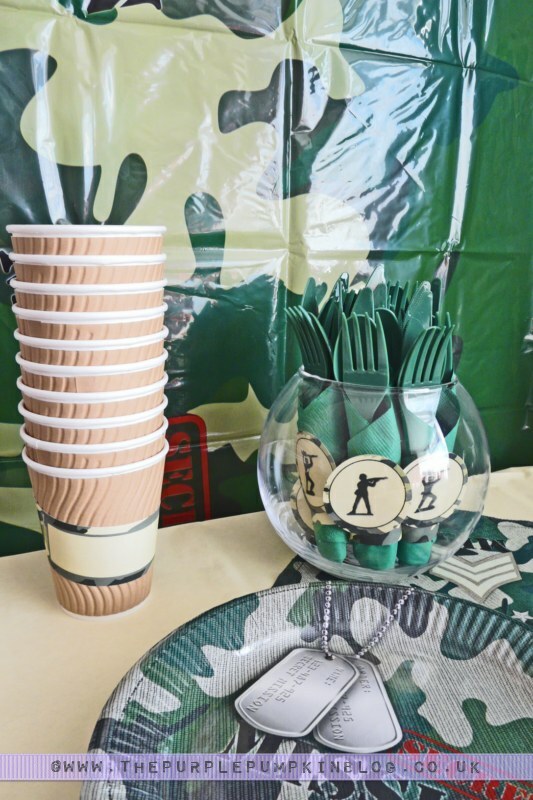 I bought some green plastic cutlery and napkins which I bundled up and held together with my Camo Napkin & Cup Wrappers and Camo 2″ Toppers. I bought some beige coloured cups and stuck wrappers around those too, with space for people to write their names (and not loose their drinks! ), and also bought some camo plates for us to eat from. 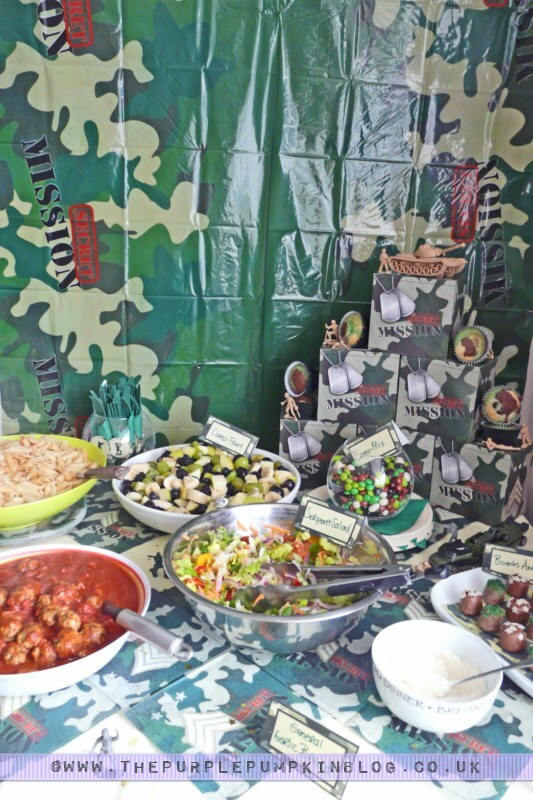 I laid the food out and gave them all silly names like Sergeant Salad and Private Pasta…labelling everything up with my Camo Food Labels. 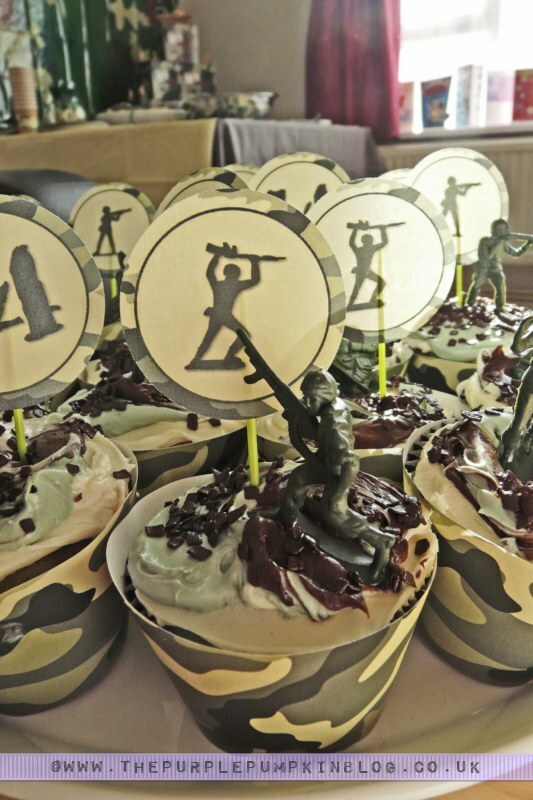 I finally laid my Camouflage Cupcakes out along with some snacks and Liam put a few of his old army men in and around the dishes. 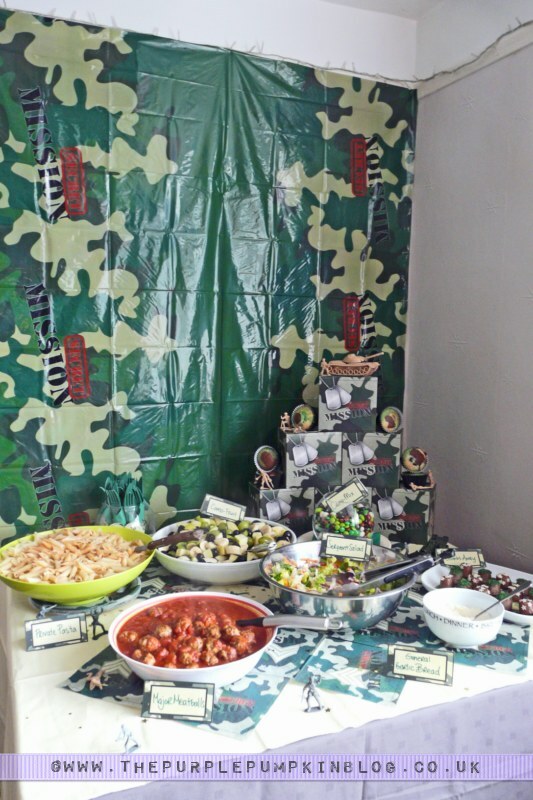 And that, dear readers, is how I decorated for my son’s Army Themed Birthday Party!